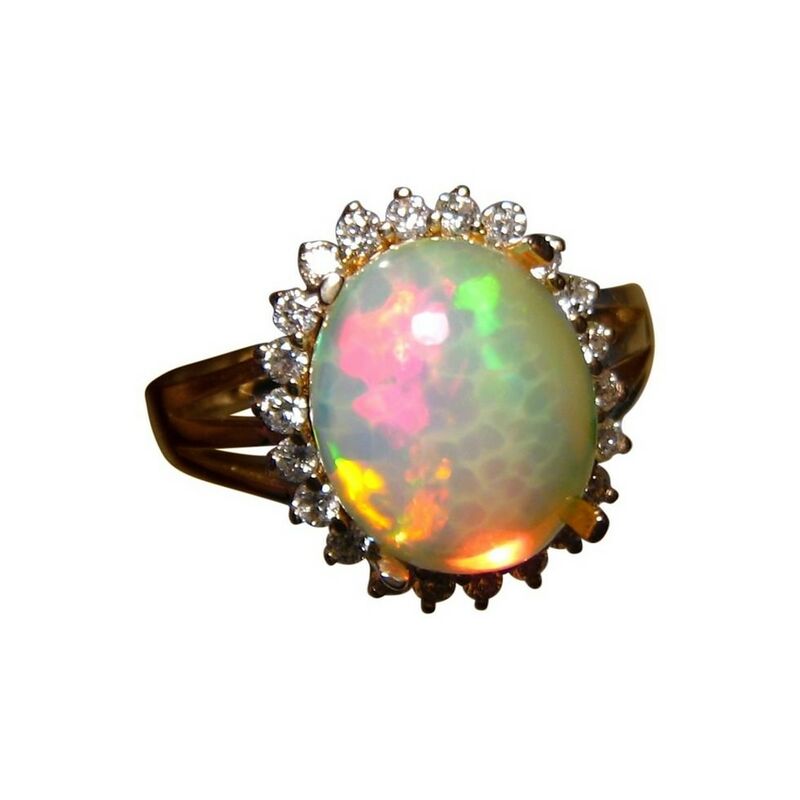 A beautiful Ethiopian Opal ring in 14k Gold with a stunning honeycomb Opal accented with Diamonds. In stock and ready to ship. 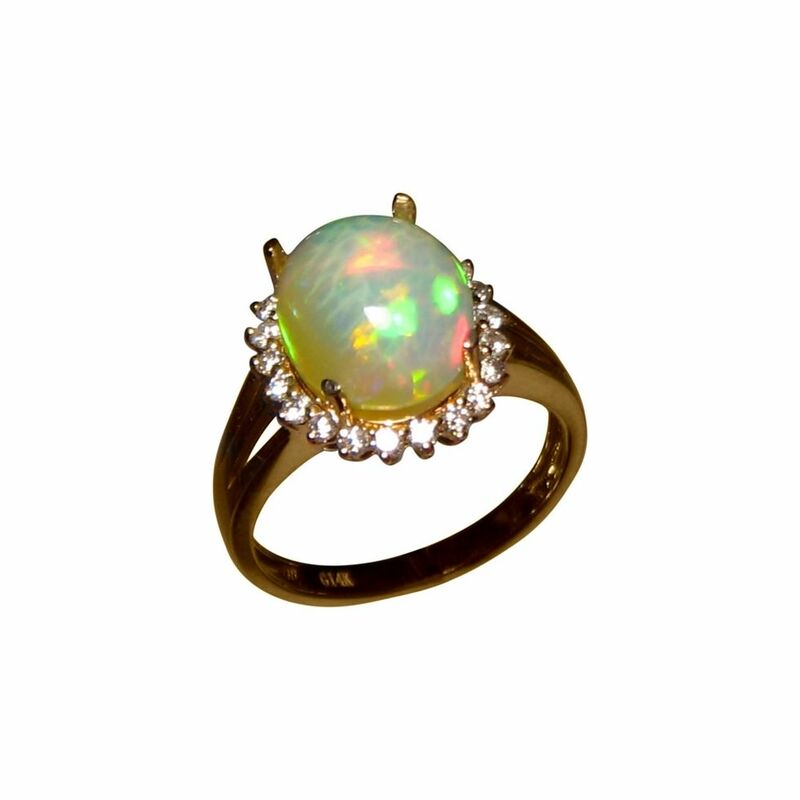 A gorgeous Ethiopian Opal and Diamond ring in 14k Gold. 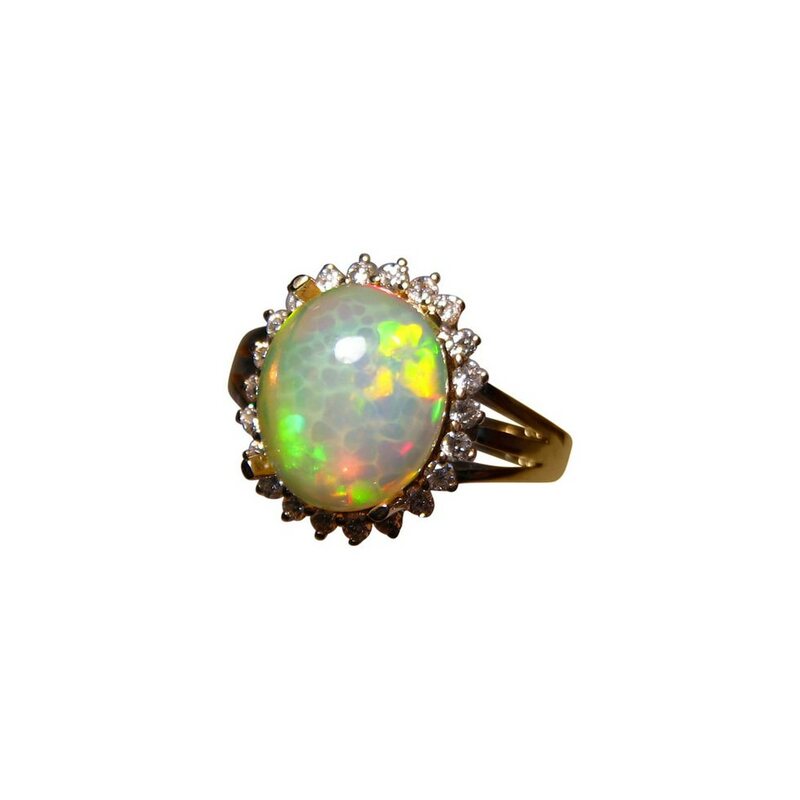 The oval Welo Crystal Opal has a fascinating play of color with Red, Green and Yellow in a honeycomb pattern which is best seen in the video below. 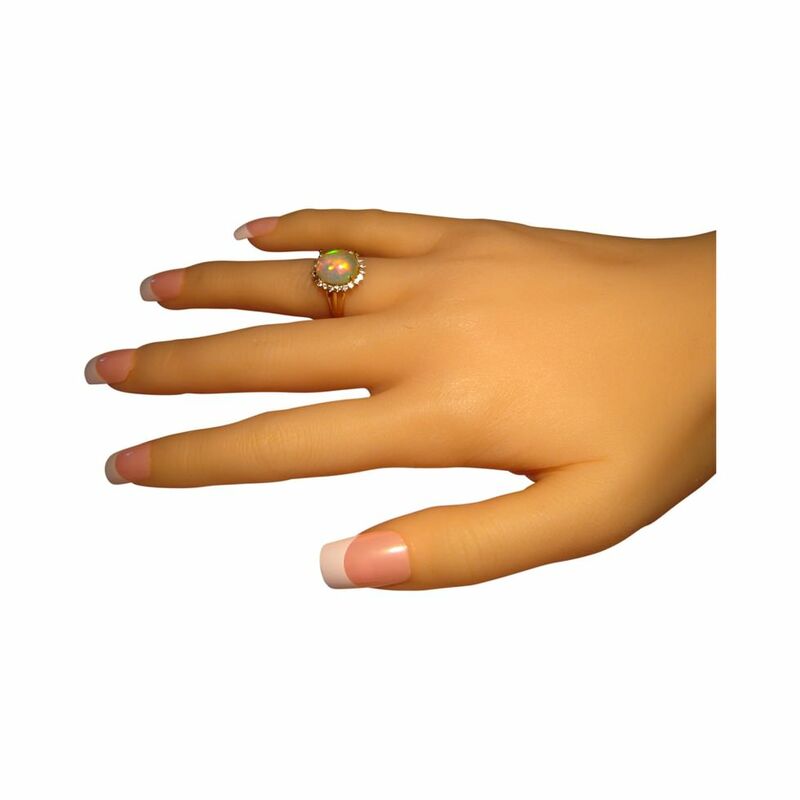 The halo of quality Diamonds adds elegance, size and brilliance to the ring which is suitable for anytime wear especially special occasions. 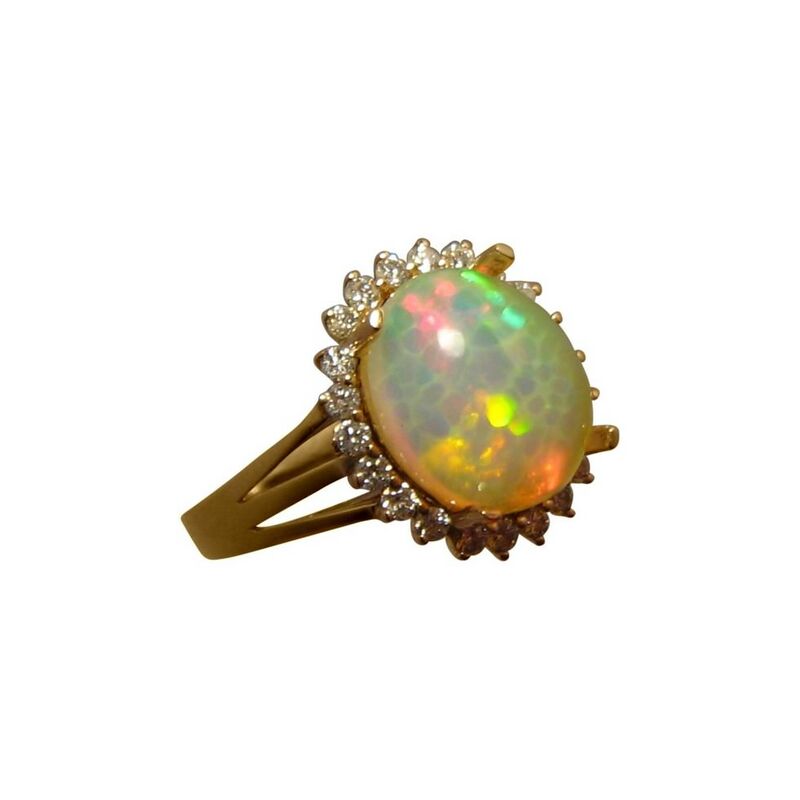 It is a style of Opal ring that would suit most hands and is ready to ship as advertised or will take 14-21 days for any other ring size or choice of gold color. 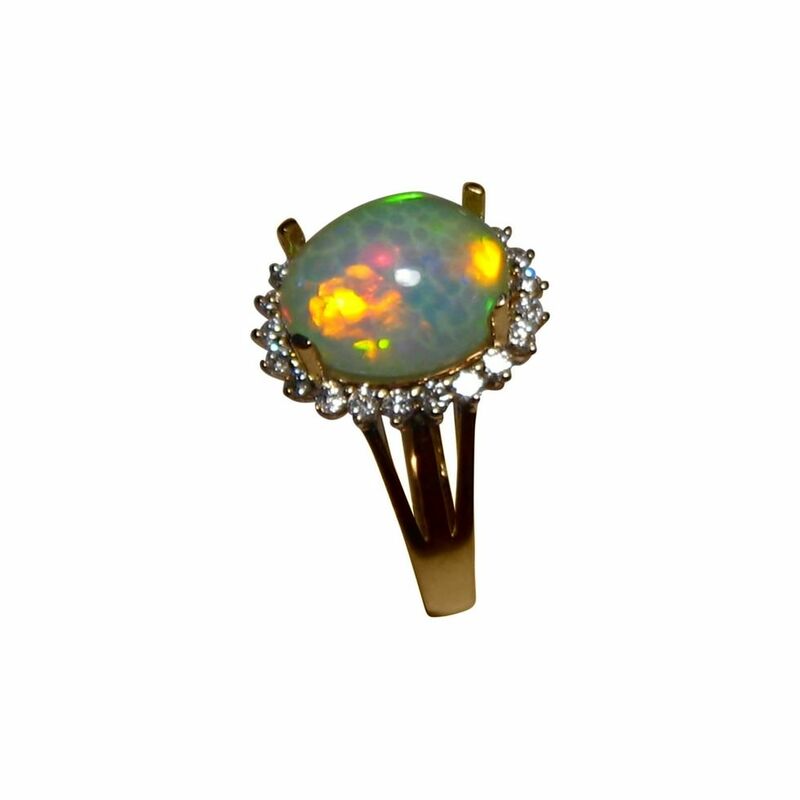 The Opal will be secured after purchase so you have the option of choosing a different ring or pendant setting or even have a custom designed setting made for this stunning Opal. Contact through this product page for assistance and a no obligation quote.